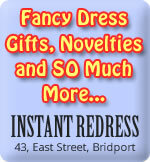 If you are looking for accommodation in Bridport this is where you'll find out where to stay. 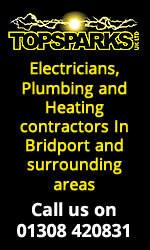 If you run a bed and breakfast, hotel, guest house, caravan park or holiday cottage in the Bridport area please contact us to get listed. 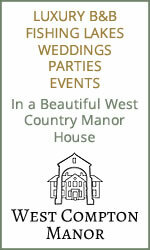 Stonebank B&B and self catering accommodation in a grade 2 listed building dating from the early 1600s. Offering holiday accommodation in the Dorset village of Chickerell. The George Hotel is situated overlooking the delightful harbour at West Bay, approximately one and half miles south of the market town of Bridport home to J.C. and R.H. Palmers, the local brewers, who occupy what is believed to be the only thatched brewery in England. Cogden cottages provide 7 2/3 bed cottages remodelled from a victorian coastguard station. Therefore, we have uninterrupted views of the world heritage jurassic coast. 5 of the cottages have individual decks for alfresco dining. All of the cottages have freeview TV, dishwasher, washing machine, linen and towels provided. Crabbs Bluntshay Farm Campsite is situated in the beautiful Marshwood Vale, Dorset a few miles from Bridport. We are a Camping and Caravanning Club Certified site with space for five touring caravans or motorhomes we also have room for tents. Friendly family run non-smoking Bed & Breakfast close to harbour and beaches. All the rooms are large and spacious with en-suite shower rooms. We have off road parking. Cardsmill Farm Holidays offer a choice of Self-catering or Bed and Breakfast accommodation on family working farms in the Marshwood Vale. 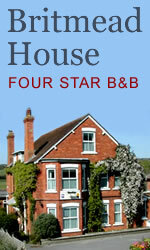 Stay in 5 star gold award bed and breakfast or luxury self-catering cottages all set in 6 acres of peaceful grounds. Within easy walking distance of local pubs and Burton Beach with the famous Hive Beach Cafe on the scenic Jurassic Coast. 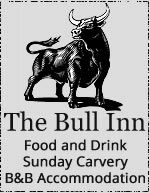 For the most relaxing break order local food, real ale and wine ready to start your holiday just as soon as you arrive at your cottage. We have 4 cottages available. The smaller ones are ideal for couples looking for a quiet or romantic getaway and a large cottage with 4 bedrooms suitable for groups of up to 10 people. Offering short breaks and weekly holidays, Off road parking, en-suite rooms, lounge, bar and a fine restaurant Additionally the beamed Hermitage Restaurant offers facilities for private functions and meetings, family occasions, or simply parties.